Off I troop to the shops this morning with a plan. And a piece of paper with measurements. All works in my favour and I load up the car with two more 8-cube units and a 4-cube unit. Even though the smaller unit will be used purely for height, I decided to buy it as a future investment. I’m not going to be in this position forever and the cube thing will always be a useful storage item. I now have blisters on m hands after screwing 50 odd screws. Not happy, Jan. About the listers, happy that I now have shelves and room. 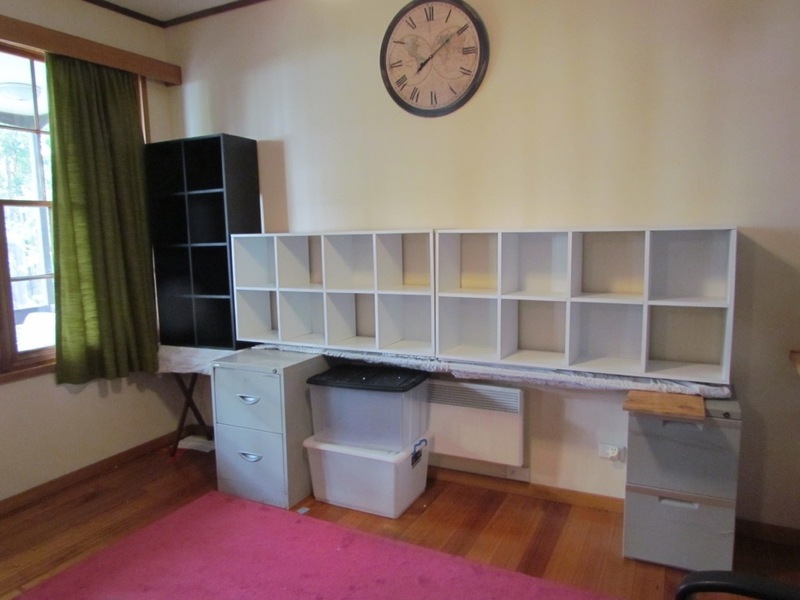 I have used a smaller table instead of the 4-cube shelf with two slabs of timber to distribute the weight better. And it looks good. The second shelf still needing to be finished, jus the back pieces, but boy in the bedroom behind the wall is trying to sleep, and I am now tired, so happy enough to give it a break. Once it is all nailed, and placed on the boards I can start filling it. A full day time lapse. Certain amply matters had to be sorted out first. Shelves, finished, and put into place. And semi stocked. There is still tweaking to be done. Design, Perfect. Layout, perfect. Construction, average. But working within my means I am very happy with how it looks. 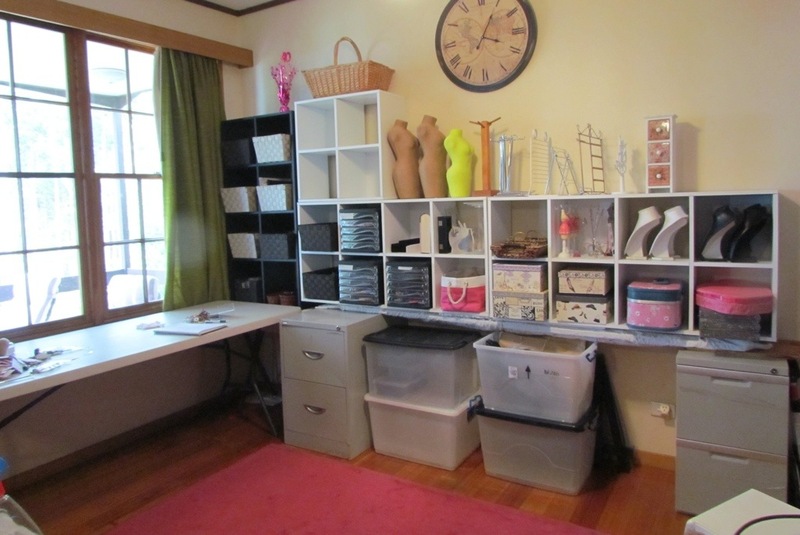 And there is so much more space, I can see all my props, and no mess in between markets any more. 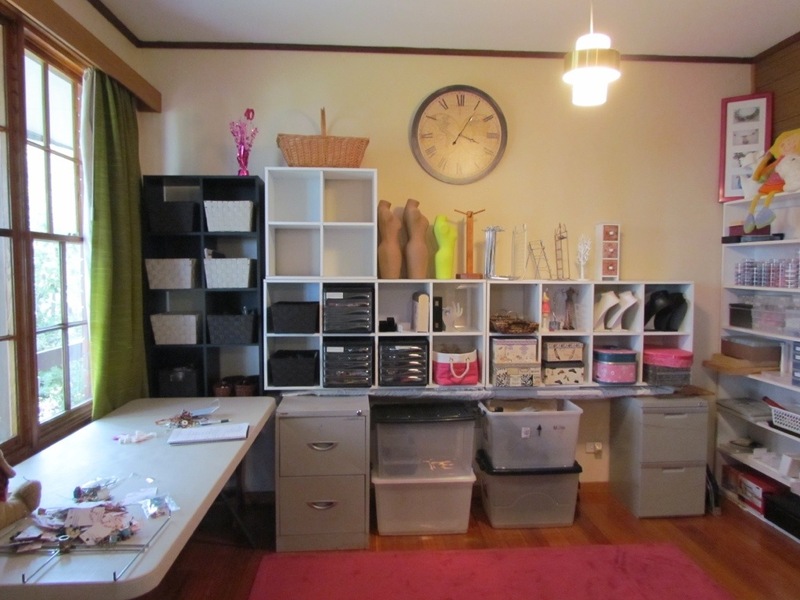 Have you done a big studio/craft room revamp. Did it work out,or did you have to change it again? 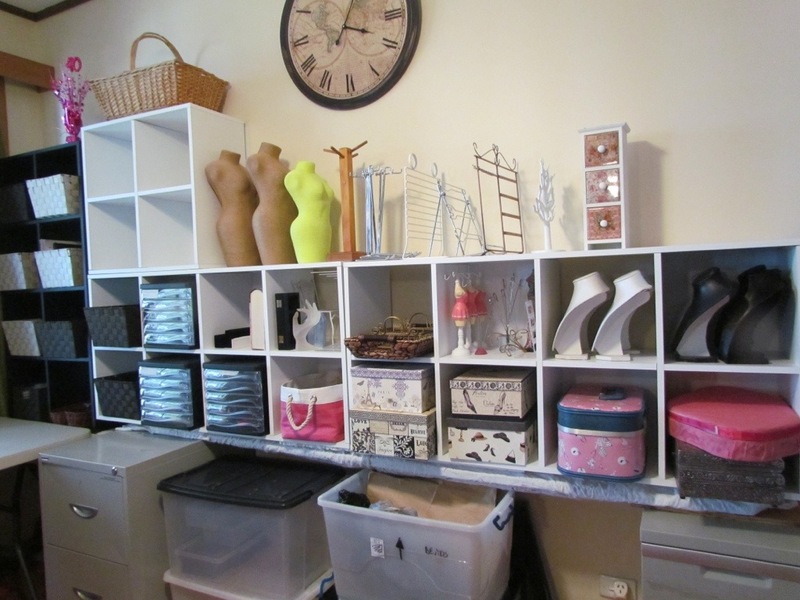 This entry was posted in Misc craft posts, Props and tagged bricks, cubes, displays, shelves, space. Bookmark the permalink. I do like it, looks very efficient, will work well for you. Soon be my turn.